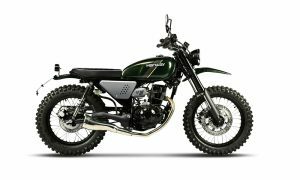 Could you be Steve Mc Queen one of the dirty dozen on this Retro Scrambler ? Quality dual purpose tyres to keep you shiny side up. 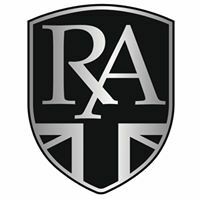 The Scrambler – Take the heart and soul of the Black Cafe, swap out the standard road tyres, clip on bars & sporty style for rugged trial tyres, wide, high handlebars, and the look & feel of a go-anywhere attitude. Then you have a Scrambler. A bike that can take trail or tarmac easily in its stride. All the mod cons with lots of can do.